If all moves that a player can play weakens	his position but this player has to play a move because it is his turn , it is called Zugzwang. The player has to make a move and he is obligated to play one of the bad moves . The situation of White is zugzwang. White cannot prevent to lose a piece. a3,a4 and b3 are temporary moves. Even if he plays these moves, he is forced to play one of the moves given below later . 1. Bc1? BxN	: White lost the Knight. or 1.Rc1? Re2 2. 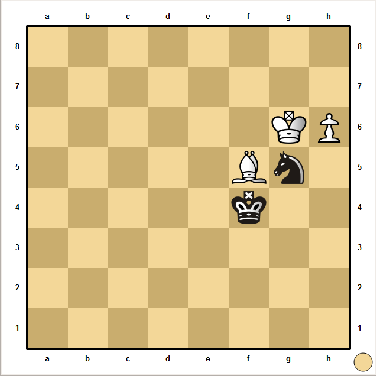 Qxe2 Bxe2 : White lost the Queen. or 1. Bf1? 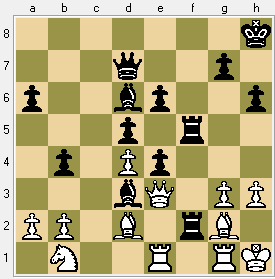 BxB	: White lost the Rook.